Join us on the fourth North Star trip to the Methow Valley, located on the eastern slope of Washington's North Cascades at 2000 feet above sea level. The Methow Valley has more than 200kms of groomed ski trails, many outside our door. There are trails for every ability. Accommodations: We’ll stay at the Mazama Country Inn, enjoying their fabulous meals and accommodations. Ground transportation, ski passes, lodging, all meals and gratuities are included. Getting There: We fly to Spokane, WA (purchase your own airline ticket) and drive minivans to Methow Valley – a 3 to 4 hour drive. There we’ll enjoy seven days of glorious skiing and beautiful scenery. Cost: Cost is based on 24 club members. Estimated costs of $1495 per person includes ground transportation, all food, lodging, gratuities and ski passes. NOTE: NO ONLINE REGISTRATION AND PAYMENTS ACCEPTED AT THIS TIME. It has been more than twenty years since we made our first “Ski Norway” trip to Sjusjøen and the Norwegian Birkebeiner Race. Little did we know in 1996 that this would become an annual trip. Why do we come back to the same place year after year? The short answer is: “Why kill a good thing”. A full week at our favorite 4th generation family owned Mountain Lodge. Known for their food and perfect skiing. Meals are big buffet style Norwegian breakfasts, trail lunches and 3-course evening dinners. Accommodations are in double rooms with private bathrooms. The comfortable sitting areas feature two fire places and beautiful antique furniture – great areas for evening conversations, games or just curling up with a book. If that does not appeal to you there is always the well-equipped indoor waxing room – also a good place for socializing - or the two saunas. 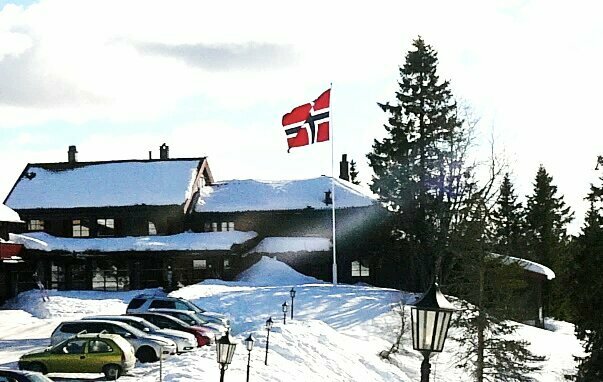 Sjusjøen has been voted the “#1 Cross Country Skiing destination in Norway”. A network of 300+ km of groomed trails offers unlimited possibilities for all levels of skiers. Snow conditions are stable, and March is the best month for skiing in Norway. The days are longer, the sun warmer, yet the snow usually remains dry. Many of the trails are above the timberline offering spectacular views. The forested trails in the lower areas offer shelter from the elements on cold and windy days. Sjusjøen Village has a grocery store, a nice ski shop, a couple of coffee shops and a bar. You will also find dog sledding in the area and snow shoeing can be done almost everywhere. For more serious shopping and to visit museums you may want to go to Lillehammer. Link: www.Lillehammer.no. There is frequent bus service between Sjusjøen and Lillehammer during the day but none at night. Transfer directly to Venabu from Sjusjøen on March 22, plus spend two days in Oslo at the end of your trip. Venabu is a Mountain Lodge located on a mountain plateau at 950 meters.on the east side of The Gudbrandsdalen Valley and just south of Rondane National Park. Outside the door is a network of 140K of machine groomed trails with choices of easy short loops and longer tours climbing up 1500 meters. 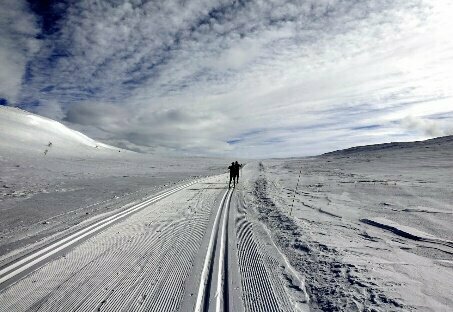 You may have the opportunity to venture into Rondane National Park where the trails are staked-in only (not machine groomed). Venabu offers (for a fee) guided Ski Safaris into the Park, back country skis at Venabu, guided snow shoeing tours to the spectacular ice falls at “Myfallet”. Accommodations: simple and comfortable rooms with private bathrooms (heated floors). Meals are: Traditional Big Norwegian breakfast. Make your own Trail Lunch from the breakfast buffet. 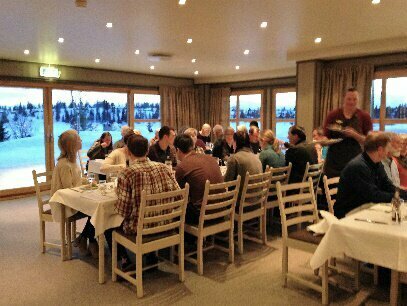 The evening Buffet Dinners are a fabulous spread of traditional Norwegian dishes with locally sourced ingredients. The atmosphere is cozy with comfortable lounging areas for reading, games, listen to piano music, socializing and dancing. Two saunas, exercise room, TV room and a well-equipped and staffed ski waxing room. Venabu is more remote than Sjusjøen. 3/14, 2020 Depart from MSP for Oslo, Norway. 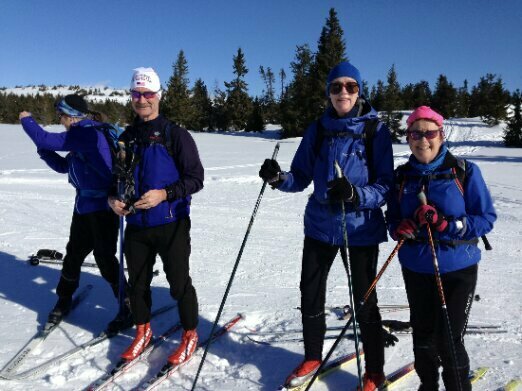 3/15-3/22 At Sjusjøen, ski to your hearts delight on the 300K+ network of perfectly groomed ski trails. - Check out dog sledding or go to Lillehammer to visit museums or do some shopping. Bus or ski down and bus back. 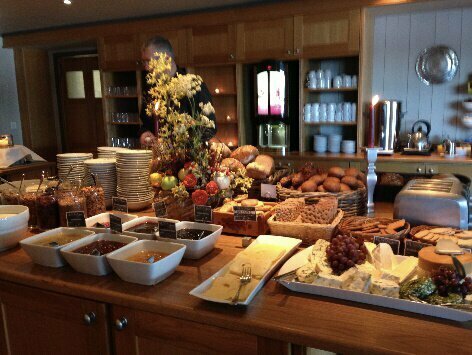 3/22-Sun Breakfast, then private Motor Coach travel to Oslo. 3/22-3/24 OSLO: Hotel centrally located down-town walking distance of popular sights. Explore Oslo based on your own interests. 3/24 Return to the US. (Sjusjøen/Oslo Group). Catch “Flybussen” (The Airport bus) right outside hotel--runs every 20 min. 3/22-3/28 Explore Venabufjellet and the Rondane National Park area for another aspect of your Norwegian skiing experience. After an exhilarating day in the wilderness return to the warmth of the hotel for hot tea, a sauna and relaxation. After fabulous buffet dinner, social gatherings, lectures, piano music and dancing or curl up with a book or play games. 3/28 (Sat) Transfer to Oslo. Mode of transfer will depend on the size of the Venabu group. 3/28-30 OSLO: Hotel centrally located down-town walking distance of popular sights. Explore Oslo based on your own interests. 3/30 Return to the US. (Sjusjøen/Venabu/Oslo group). Catch “Flybussen” (The Airport bus) outside hotel--runs every 20 min. two night’s hotel accommodation w/breakfast in Oslo. The Estimated Cost includes airfare MSP-Oslo-MSP, group transfer OSL airport- Sjusjöen -Venabu -Oslo, seven night’s accommodations w/ buffet breakfasts, trail lunch and dinners at Sjusjöen, six nights’ accommodation w buffet breakfasts, trail lunch and dinners at Venabu, two night’s hotel accommodation w/breakfast in Oslo. Notes: Not included in the Trip Costs are: Airport bus from Oslo to the airport, Airport/custom taxes, airline imposed surcharges, luggage fees, travel insurance premium, cost of passports, all items of a personal nature including wine, beer, liquor, soda, mineral water, room service, laundry, telephone/faxes, local transportation unless stated, race registrations and race transportation, optional sightseeing excursions and entrance fees, additional costs related to airline delays and cancellations. Extraordinary costs related to emergency, accidents and cancelled or delayed flights are the sole responsibility of the participant and/or their travel insurance plan. All prices are based on double occupancy. If you are traveling by yourself, we will match you with a room- mate if possible. Note: This is a North Star Ski Touring Club (NSSTC) sponsored trip and a $20 membership is required. Balance due by 1/10/2020 (you will receive an invoice for the balance). Balance due by 1/10/20 (you will receive an invoice for the balance). Cancellation 10/1/2019 -1/10/2020 $ 1,700 is NON-refundable. You will need a valid passport that does not expire till six months after your return. There are no Visa requirements for US citizens visiting Norway. Luggage charges and weight limitations are constantly changing and may vary for different airlines. Please check the airlines web site for the latest policy when we get close to departure.